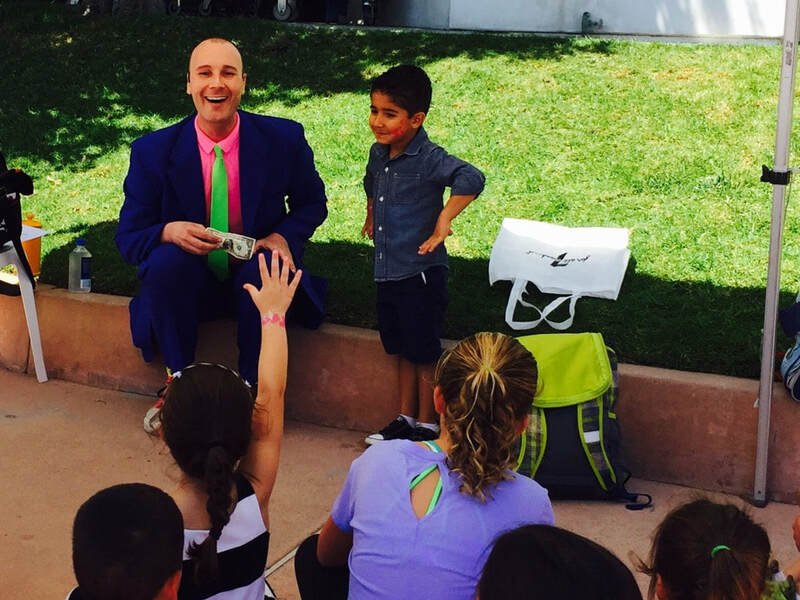 Christopher T. Magician - Southern California magic show for children - CHRISTOPHER T. MAGICIAN, INTERNATIONALLY KNOWN KIDS ENTERTAINER AND BIRTHDAY SPECIALIST. ​and as expected, kids and parents had a BLAST!" The show is TAILOR MADE FOR KIDS. That means they don't simply sit and watch. Every moment is chock-full of audience participation and interaction! ​These tricks ARE NOT for kids. No unimpressive "kiddie" tricks here that wouldn't fool a baby. 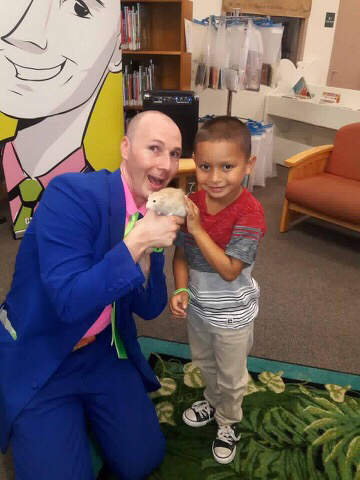 Christopher pulls every ounce of kid show fun and hilarity out of tricks that will fool everyone in the room! ​The magic is one of a kind. Want to see a magician TEAR AND RESTORE A POP-TART? How about make the sound from a whoopee cushion travel into a box? Or pull money out of a child's nose with a magnet? Then you'll need Christopher and his off-beat brand of original, crazy awesome illusions! ​The birthday child is the STAR OF THE SHOW. Your child even does magic for your guests that Christopher can't. No assistance needed. Your child truly IS the star! ​​The show is A SHOW! Aside from performing magic, Christopher is a studied playwright and actor. He is a graduate of NEW YORK UNIVERSITY'S TISCH SCHOOL OF THE ARTS and the renowned BMI Lehman Engel Musical Song Writing Program. His plays have appeared in The New York Musical Theater Festival, and have enjoyed sold-out off-broadway runs. His series of parody musicals, UNAUTHORIZED! is making it's West Coast debut this year, after a super-successful run in New York City. 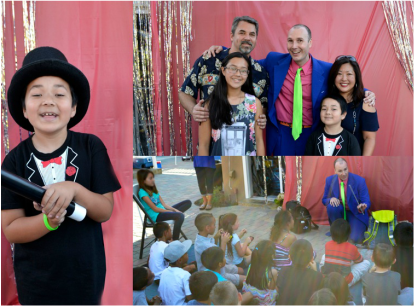 This is all to say that Christopher brings his lifelong involvement in the theater into your home to create a magic show that feels less like the same old random string of tricks you may have seen and more like an actual SHOW! *Peanut the rat is optional and conditional Depending on weather - if peanut is booked and unable to perform the $275 package reduces to $250. Check out these videos to see Christopher in action!